Anyone who spends time in the sun and would like to keep track of exposure to harmful UV rays, may be interested in a new smart wearable sun tracker aptly named the QSun. Using artificial intelligence the sun tracker is capable of monitoring your exposure to the sun allowing you to balance your vitamin D intake and sun exposure. 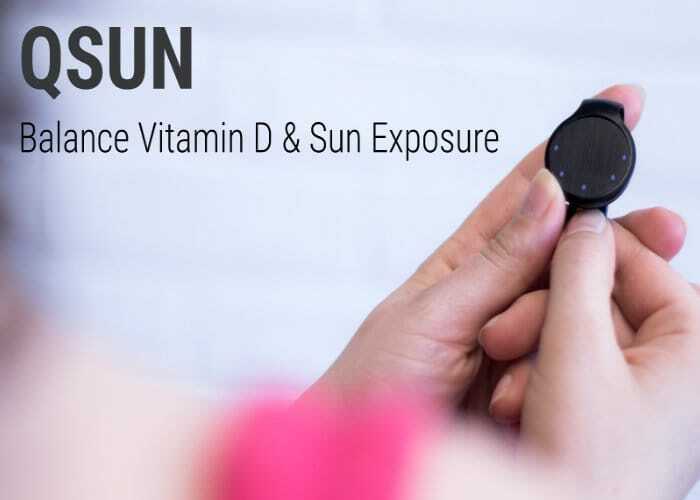 When connected to its companion smartphone application the QSun offers an easy way to monitor your exposure and bodies vitamin D production. Watch the demonstration video below to learn more. Using a custom designed algorithm the QSun wearable monitors and analyses your sun exposure in real-time by combining your current sun exposure with your skin type, environmental situation and sun safety habits to provide tailored recommendations on your next course of action. QSun has this week launched via Kickstarter with the aim of raising CAD $30,000 over the next 31 days to make the jump into production. Pledges are available from £33 or CAD $59 for super early bird backers. For more information and full specifications jump over to the official Kickstarter crowdfunding campaign page by clicking the link below.